The city&apos;s outsourcing contract with Capita has come under fire again after Service Birmingham accounts unveiled dividends of more than £1 million a month. City business expert Professor David Bailey dubbed the IT outsourcing contract "gross by name, and gross in nature" after new accounts showed the venture paid out £12.5 million in dividends across the year to private firm Capita. However, the dividend fell from £23 million the year before and Service Birmingham&apos;s chairman said the operation provided an efficient and valuable service to Birmingham City Council. Service Birmingham – which is actually a partnership between Birmingham City Council and Capita – saw its turnover fall from £107.4 million to £98.5 million in 2014, while pre-tax profit fell from £19.7 million to £15.8 million. But Prof Bailey, professor of industry at Aston Business School, said its dividends remained too costly to the city and also highlighted Service Birmingham spent £46.9 million with various other Capita companies across the year. Writing in the Post , Prof Bailey said: "Service Birmingham stacked up a gross profit of £18 million in 2014. That&apos;s around £50,000 a day, or £1.5 million a month. Gross by name, and gross in nature, it seems. "But this doesn&apos;t reflect the true scale of value extraction from the council through the SB contract. "Dig around in the accounts and you find that SB spent £45 million on buying stuff from other Capita group companies – with another tidy profit therein for Capita. "After costs, I&apos;d estimate £21 million a year is the actual payout Capita gets out of the Service Birmingham contract. That&apos;s about £440,000 a week. Even Wayne Rooney gets only £300,000 a week." 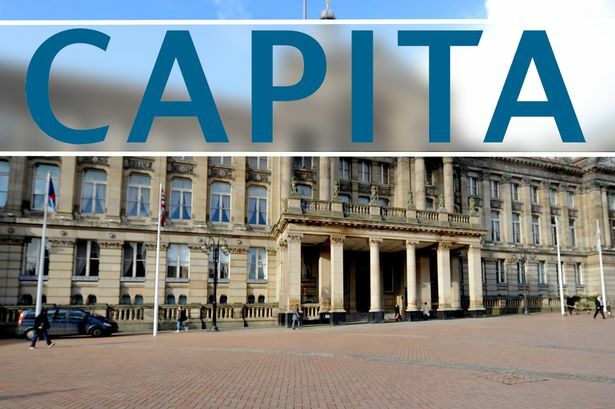 The Service Birmingham contract came in for major criticism last year after the Post revealed a £63,000-a-day dividend for Capita. While that has fallen in the 2014 accounts, it remains higher than the £8 million in 2012. However, its income from taxpayers has reduced following a renegotiation, headed by deputy leader of the city council Ian Ward, which saw the call centre brought back in house. Coun Ward (Lab Shard End) sought to reduce the burden of the contract in light of vast cuts to the council&apos;s balance sheet since the contract was negotiated by the previous Tory-Liberal Democrat leadership. Service Birmingham spent £46.9 million with various Capita companies across the year, which represented a slight fall from the £47.6 million spent the year before. In 2014, that included £33.6 million at Capita Business Services, £6.8 million a Capita Group&apos;s ComputerLand UK, £2.6 million at Capita Resourcing, £2.2 million at Capita IT Services and £1.4 million with Capita itself. In all, it sold a total of £117.4 million worth of goods and services to the city council. But Coun Barry Henley said Service Birmingham&apos;s spending was transparent and could be market-tested by the city council. He said that, while the joint venture "had its problems" three years ago, it was "cost effective and efficient" now. He said: "Clearly the business is successful and provides a service that the city of Birmingham and Birmingham&apos;s citizens require. "The only way to reduce your running costs is to increase automation and get work done through different channels. "Whereas previously you had employees in offices, more and more is being handled over the telephone and on computers. "That is the way Birmingham City Council has been able to go from 23,000 to 13,000 employees - it isn&apos;t easy." The accounts, signed off by auditors on July 27 and filed with Companies House in August, revealed Service Birmingham&apos;s workforce fell from 808 in 2013 to 700 last year.